The rains started unusually early this year and some risk-taking farmers ploughed and planted watermelons, even groundnut (peanuts), corn and millet. However, most thought it was too early and waited. Then we had a little shower about once a week and some more farmers dared to plough and sowed their crops. And then not a drop for three weeks! The situation was getting desperate and “lack of rain” became the main topic of conversation. Eyes raised to the sky at the least gathering of clouds in the east /south-east (the direction most rain-forming clouds gather). All wished and prayed for rain. In some communities, the chief and elders approached the local rainmaker to call the rain. We felt the drought at LLC too. We emptied the water collected from the earlier rains from our rwhs. The students had to bring water to school. But God’s time is the best. We had a good soaking rain on Thursday morning and a much heavier one on Monday. The ground is well-watered and farmers are busy sowing their crops. We have plenty water at school and the environment is looking green and fresh. 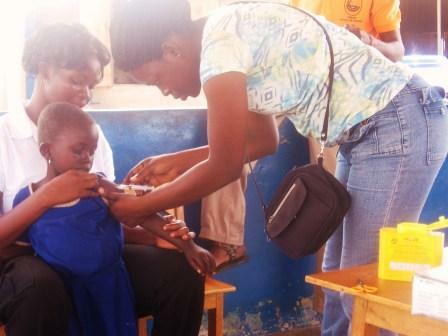 PAMBE Ghana facilitates Measles vaccination at La’angum Learning Centre. Measles is a dangerous childhood disease that can have devastating complications including brain damage, blindness, and deafness. It also often causes diarrhea and malnutrition. Two decades ago, measles epidemics caused the highest mortality and morbidity among young children within the shortest period. Thanks to concerted efforts on immunizations programs for under-fives by the Ghana Health Services and international agencies such as UNICEF, widespread measles outbreaks have become a thing of the past. hana health authorities say that it costs less than GHc2.00 ($1.45) to prevent the disease through vaccination and to provide a Vitamin “A” supplement. However, it is often difficult to mobilize marginalized communities to take full advantage of this vital health service to protect their children. PAMBE Ghana’s approach to primary education includes a strong component of raising awareness in rural areas about such key issues. PAMBE Ghana works to link communities to local health services for children. A good example is about the recent measles vaccination campaign in Ghana. On November 04, PAMBE Ghana organized the Bumboazio community to work with the Ghana Health service (GHS) to have all the children of the La’angum Learning Centre between the ages of 4 and 5 immunized against measles. The children also received doses of Vitamin “A” supplements to boost their immune system for better protection against other diseases. This effort not only helped to protect the children against potentially serious diseases, but created a precedent of the school serving as a means to promote an active collaboration between local communities and health services. By Bukari Baba, La'angum School Alice and I had a meeting with the PTA and the community of the La’angum School in Bumboazio on Friday, September 25, 2009. This was our first meeting with the community to re-establish contacts and plan for the new academic year. Many non-PTA members were also present. AAI briefed the gathering on her visit to the USA and extended greetings from friends and supporters there to them. Our main agenda item was to plan well to meet the challenges of the new academic year. This included parents in-kind and cash contributions they would make towards their school this year, and new enrolment. After reviewing the previous year’s processes and practices, an animated discussion ensued and a good number of suggestions were made by parents. They came to a consensus and the following decisions were taken: 1. In kind contribution of food stuffs for school lunch. Parents would contribute a bowl (about 4lbs) each of corn, peanuts, beans, soya beans and millet per child. These contributions will be spread over a period of three months, during the time of harvest of the various food crops. For example, this is the harvest time for corn and peanut; it is therefore the appropriate time to make contributions corn and peanuts now. The school management committee leaders are responsible for collecting and managing these food contributions. 2. They also reached agreement that parents contribute Ghc12.00 per pupil to be settled by the end of this Lunar moon. Parents who pay after this deadline will have to pay an additional Ghc 3.00. This may seem very little, but for these farmers, it’s quite a lot given that the daily wage is Ghc 2.00. 3. We agreed to enrol 20 children for this academic. Parents, especially those who did not have the advantage of having their children enrolled last year, were eager to know how many children we were taking this academic year. The people expected that we would enrol at least 40 more. We explained the reasons why we could not enrol more. This was a tough sell but we emphasised the need for quality, not quantity. The gathering however felt the need for a community-wide meeting so everyone would have a chance hear PAMBE Ghana’s reasons for limiting this year’s intake to only 20 children, given that the general population had expected at least 40 again. That meeting was scheduled for the following Friday, October 2, 2009. Other points discussed concerned needs associated with the new enrolment of children i.e. teachers, classroom space, furniture and learning materials. The Inauguration and official naming of the school on May 27 was a milestone in the program and strategy of PAMBE Ghana. The preparations leading to it and the inauguration itself raised the profile of PAMBE Ghana. It enhanced our legitimacy and credibility as a partner and advocate in the district for making quality primary education accessible to children in underserved communities. It also provided a platform to raise awareness of the merits of mother-tongue literacy and to solicit material support for mother tongue, bilingual education. PAMBE Ghana is becoming a recognized name among peer agencies in the district. Such recognition is important. The inauguration laid the groundwork for even stronger collaboration and support with the Ghana Education Service, District assembly, District Health Directorate, information service and other key actors in the district. PAMBE Ghana also used the school inauguration as a platform for friend and fund raising. This was also a big success, by our standards. Our appeal raised four hundred and ten Ghana cedis ninety-five pesewas (Ghc 410.95) as well as seven hundred Ghana cedis (Ghc 700.00) of pledges that day! It was a remarkable show of support – “La’angum”! We have high hopes that this is just the beginning. On May 27, the first PAMBE Ghana -supported school was inaugurated in Bumboazio in the East Mamprusi District. The occasion brought together strategic partners, collaborators, community leaders, traditional chiefs, and supporters of PAMBE Ghana. These included the District Chief Executive and Coordinating Director, Ghana Education Service, Health Directorate, the National Health Insurance Scheme, Information services and many heads of departments in the district as well as representatives of the Nayiri (the King of Mamprugu). There were about 40 dignitaries and invited guests who came to the event. In addition, almost all the people of Bumboazio and Bantambaari and over twenty people from my native village, Bongbini, including the village chief and of course the children and their parents came to the event. We estimate between 200 and 250 people attended. The Northern Regional Minister was poised to come to give the keynote address but had to change his plans just the day before because it just happened that the President of Ghana, His Excellency, Prof. John Evans Atta Mills, was to stop in Tamale on his way to an adjacent region in the north on the day of the inauguration. As protocol has it, the Regional minister and his whole entourage had to be mobilised to welcome and accompany the President on his visit. Between the President of the Republic of Ghana and PAMBE Ghana, well, we know who takes precedence! We were quite late in starting the programme (Ghanaian time). The drumming and dancing went much longer and, with the warmth from all the hearts at this merry-making and the heat from the hot sun, over 600 plastic sachets (generally called pure water) and 100 half-litre bottles of mineral water did not suffice. We had to supplement with gallons of ordinary water the women brought in from the village. The visitors were truly impressed! Many remarked on how the children remained calm and engaged in their work despite the crowd in the classroom. While we (teachers and I) presented a few exercises to some others watched the children and asked them questions about their work. Of women ululating for joy! 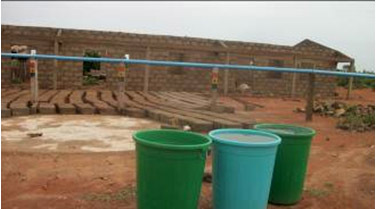 On May 27, the first PAMBE Ghana -supported school was inaugurated in Bumboazio in the East Mamprusi District. It was highly festive occasion. The women of the villages, in particular expressed themselves through ululation, a traditional cry of joy at public events. The occasion brought together strategic partners, collaborators, community leaders, traditional chiefs, and supporters of PAMBE Ghana. These included the District Chief Executive and Coordinating Director, Ghana Education Service, Health Directorate, the National Health Insurance Scheme, Information services as well as representatives of the Nayiri (the King of Mamprugu) and other personalities. There were over 40 dignitaries and invited guests who came to the event. In addition, almost all the people of Bumboazio and Bantambaari and many neighboring villages and of course the children and their parents came to the event. The estimate is that between 200 and 250 people attended. The (Northern) Regional Minister was poised to come to give the keynote address but had to change his plans just the day before because of an unexpected visit by the President of Ghana to the north The celebratory event was marked by three types of traditional drumming and dancing. With the heat generated from this merry-making as well as the hot African sun, over 600 plastic sachets and 100 half-litre bottles of water did not suffice to quench everyone’s thirst. PAMBE Ghana had to supplement with gallons of ordinary water women brought in from the village. Thanks to weeks of planning and preparation by the PAMBE Ghana local advisory committee, and much behind the scenes work on the day itself, the inauguration event was a huge success. The size and diversity of the crowd was one never seen in the remote village of Bumboazio before, with so many dignitaries. Many gave speeches, which included that of the District Chief Executive, representatives of the Nayiri (King of Mamprugu) and a representative of the PAMBE Board of Directors in the US. After the ribbon-cutting ceremony, the District Chief Executive (who is the President of Ghana’s representative at the district level) and his entourage went into the classroom to observe the students at work and learn a thing or two about the PAMBE Ghana approach. The children were into their routine of learning as the visitors came through the classroom. The visitors were truly impressed! Many remarked on how the children remained calm and engaged in their work despite the crowd in the classroom. While the teachers presented a few exercises, the visitors watched the children, while others asked them questions about their work. 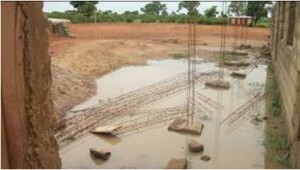 The Inauguration and official naming of the school on May 27 was a milestone in the program and strategy of PAMBE Ghana. The preparations and the inauguration itself tremendously raised the profile and legitimacy of PAMBE Ghana. It also strengthened our credibility as a partner and advocate in the district for making quality primary education accessible to children in underserved communities. Finally, it raised awareness of the merits of mother-tongue literacy, and helped make PAMBE Ghana a recognized name among peer agencies in the district. The Manager of the East Mamprussi Community Bank came to our office in Gambaga last week. In response to a request to our appeal for support, he came to announce that the East Mamprussi Community Bank will donate a huge polytank for storing water captured from the roof. The value of this tank is estimated at about $900 dollars. It will be a great asset for the school, which does not have any close access to a water source. Women from the village have to carry the water from a pump about one half mile away. The handing over of the water tank to the La'angum school in Bumboazio will integrated into the official inauguration on May 27. PAMBE Ghana is ver appreciative of the growing support of public institutions for the program. La’angum! The local school name. The Bumboazio community and the PAMBE Ghana advisory committee have decided on the name for the school! What is in a name, you ask? Well, calling it the Bumboazio school was too prosaic, particularly since this is a very special school, with so many stakeholders involved in supporting the development of a new model of mother tongue, bi-lingual education using the Montessori approach. Also we did not want it to be called the PAMBE Ghana school. This would perhaps create an impression that PAMBE Ghana was in the business of running private schools, when our true aim is in developing, testing and spreading a model of improved basic education. So, after much discussion with the community, the solution proposed was to have the Bumboazio community select three names, present these to the PAMBE Ghana Advisory committee and, together, select the final name. The winning name is: La’angum! There is no adequate translation of this Mampruli concept. The closest approximation is “united”. The rationale of the villagers is that the school reflects a spirit of unity that extends far beyond their community. It also encompasses all the local partners and supporters, including the Ghana Education Service, the local government, other local institutions, and of course, PAMBE Ghana and our supporters in the US. This collection of individual and institutional supporters are “united” in providing the children of Bumboazio a high quality basic education, but beyond this, developing a new model and learning materials that could benefit the entire Mamprugu. La’angum School we all are! Last Saturday, we had an impromptu but beautiful parents’ orientation to a Montessori classroom! We had a meeting a week earlier about contribution of food stuffs and the actual preparation of the food for brunch, and water. This meeting was a follow up to these and other matters. By 8:30 a few people had gathered at the school yard. While waiting for more to come we invited those present to visit the classroom where their children spend most of their mornings. And they really took the offer and got to work! They were eager to take out works and try them out so Mary, Issah and I gave a few ground rules and presentations and allowed them to explore and experience a little bit the Montessori Method: finding your work space (mat or table); getting the work, putting it together and returning it at the right place when you are done, and folding and putting the mat back as well. They were fascinated by the objects in the matching activities, the zoology and botany puzzles, the sorting, etc. They really got into it. Eventually, everyone was in the classroom and they started teaching each other. It was moving! You could almost touch their excitement in the air. They were leafing through a picture story book with such wonder! Well, for almost all of these parents this was probably the first time they had touched and actually looked through such a book with such beautiful big pictures! Also, they found some of the objects for matching exercise such as scorpion, frog and butterfly so close to the real thing. It took a bit of effort to get them out of the classroom so the meeting could start. 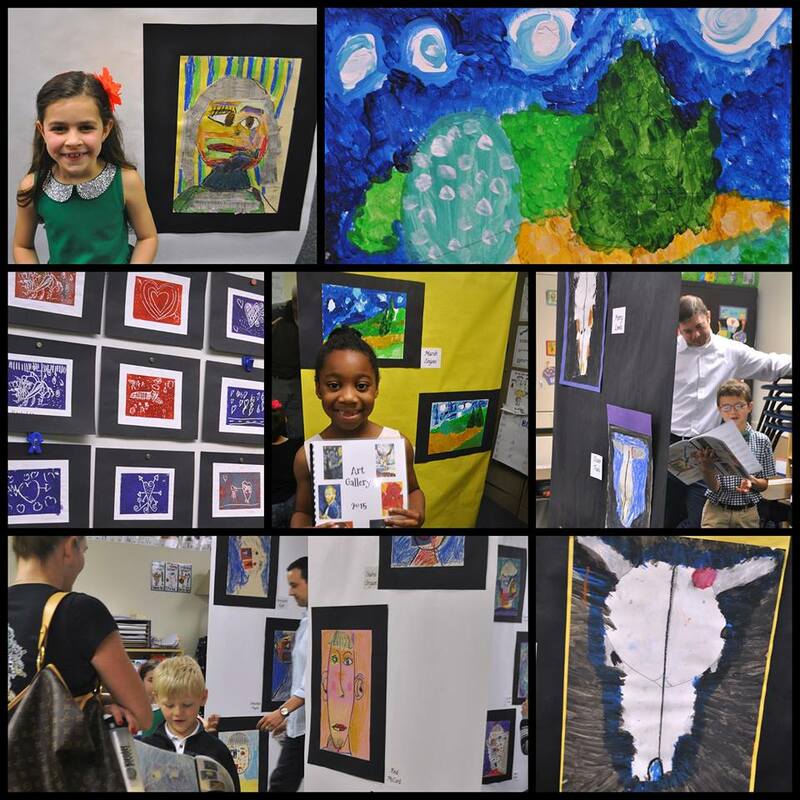 I think this first experience also gave parents the opportunity to see concretely and appreciate the work their children do in school. For example, they themselves had to think hard to put puzzles together (they have never had to think that way). Following up on the interest and enthusiasm the classroom visit had generated, Mary Azure made a presentation of the knobless cylinders. Issah then focused on the process and its importance for the young child. He demonstrated how knowing how to put the cylinders back in the box is just as important as taking them out and working with them. We then began the meeting proper. Several parents mentioned their children’s insistence on washing their hands with soap at home after going to toilet and before eating. They refuse to wash their hands in water others have already washed in, which is the normal practice here. This is obviously a challenge for parents. But we are quite pleased that these new practices at school are following the children home already.